I really love doing this. You know, finding recipes for store-bought delicious things and trying to make them at home. It’s always so fun and satisfying and always so delicious! But not in the same way. They taste delicious in that, “I know this is homemade and so tastes like it’s homemade” way. Okay, I’m about to say something controversial: the homemade versions of store-bought things don’t always taste better. Let me clarify. They almost never taste the same. These goldfish crackers tasted like baked cheese puff pastry. Hello. That’s amazing. And these pop tarts tasted like a breakfast pie. Pie! But they don’t taste like the goldfish crackers from the supermarket, or the pop tarts from the vending machine. They are missing the artificial preservatives piece that I, you know, skip adding. And sometimes, that’s just what you want. Alas. Here we are to these cute little cinnamon toast crunch. These are so simple to make, and they are just so, so good. 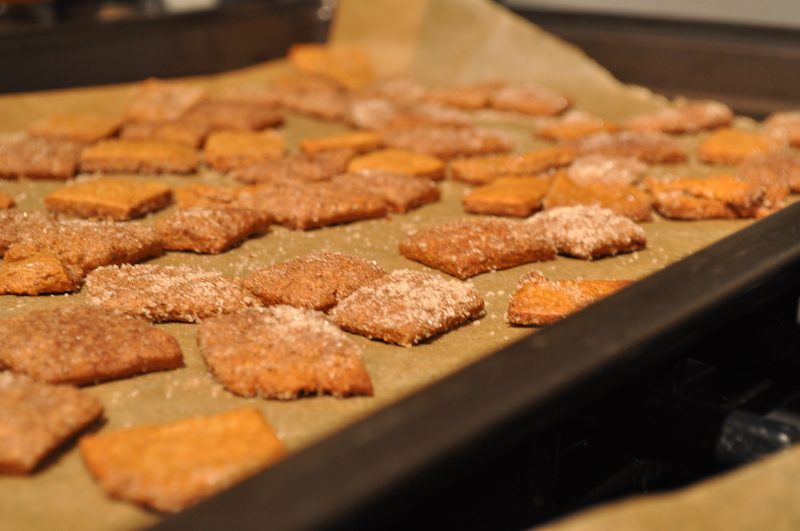 I mean, this is now my definite go-to recipe for homemade graham crackers. 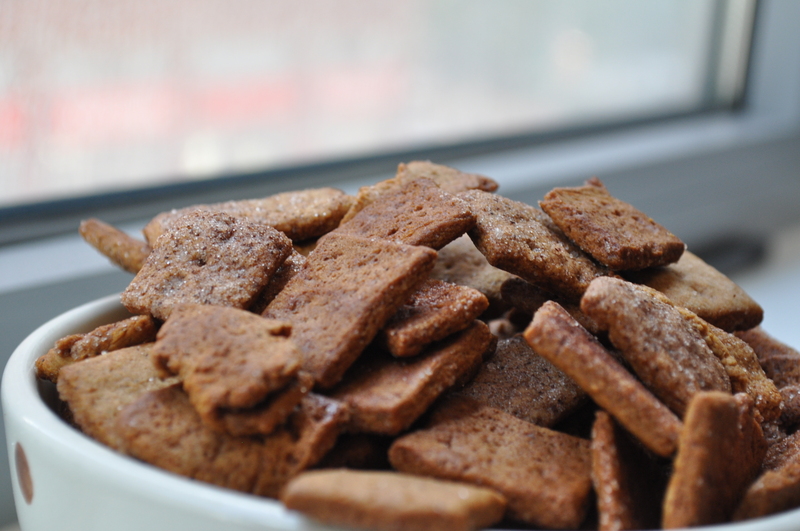 But that is what these are: absolutely mouthwatering miniature cinnamon sugar graham crackers. Oh please, no need to be sad! Time to make some homemade miniature marshmallows for some homemade miniature s’mores. 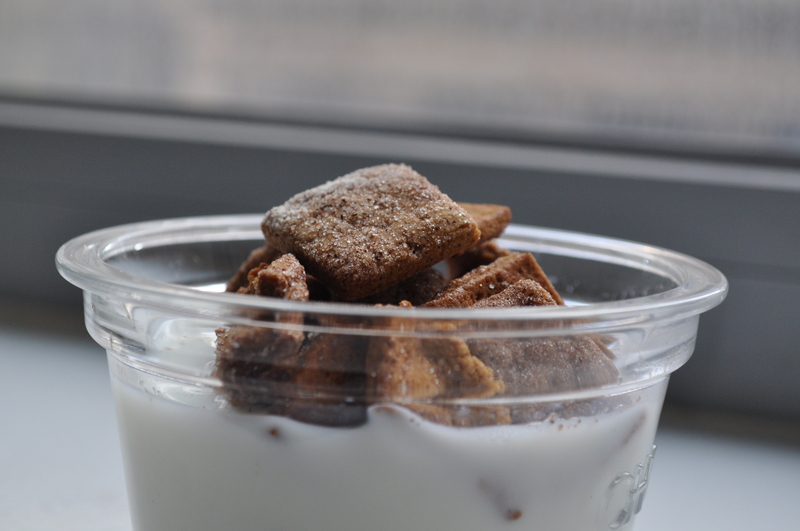 Sprinkle some store bought Cinnamon Toast Crunch on top and you’ll have yourself a party. Preheat the oven to 350° F and line two baking sheets with a silpat or parchment paper. 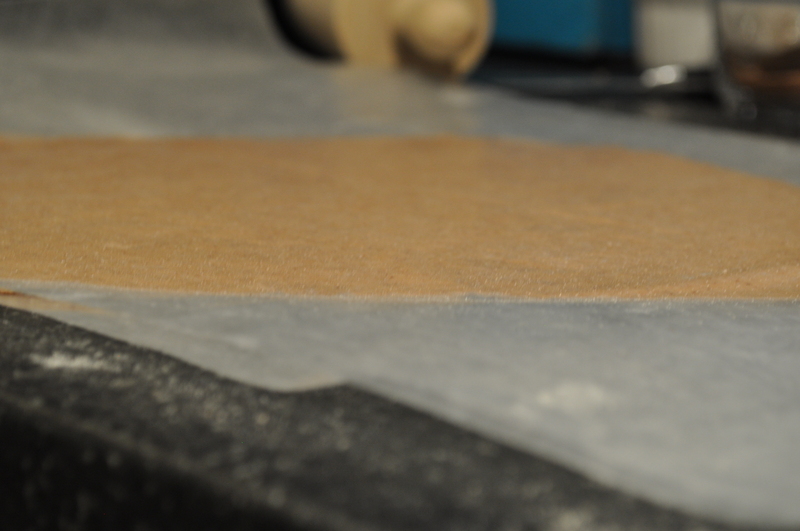 In the bowl of a food processor, add the whole wheat flour, flour, baking soda, and cinnamon. Pulse to combine. Then add in butter, brown sugar, sugar, vanilla, and honey. Process until the dough looks like small peas, then add in the buttermilk and process until a dough ball forms. The dough will seem dry and crumbly, but this is fine. Dump the dough out onto a lightly floured counter and pinch any crumbles of dough together with your hands. 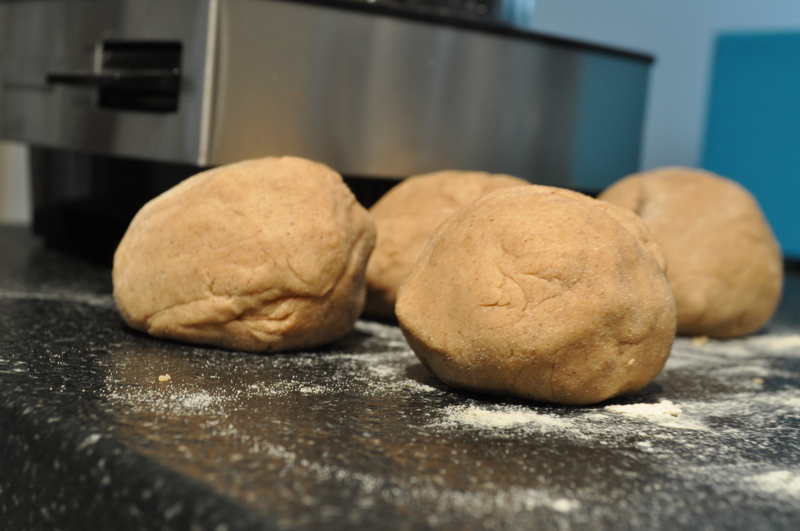 Divide the dough into four flat disks. Working with one piece of dough at a time place a piece of wax paper over the dough, roll the dough as thin as you can, no thicker than 1/4-inch thick, but preferably an 1/8-inch thick (about the thickness of a quarter). Remove the top piece of parchment paper. With a pastry cutter, pizza cutter, or very sharp knife, even the edges of the rectangle. Slice into 1/2-inch squares and pierce each square with a fork 2 or 3 times. Make the cinnamon-sugar topping: in a small bowl, combine 2 tablespoons of sugar and 3/4 teaspoon cinnamon. In another bowl, melt the remaining 1 tablespoon butter in the microwave. Brush the whole sheet of dough with the melted coconut oil and then generously sprinkle with the cinnamon sugar. Use a very thin spatula and scrape the squares off the counter and then carefully use your hands to place the squares on the prepared baking sheets. Bake for 10 minutes or until lightly golden brown on top (watch closely). Allow to cool completely and store in an airtight container. This entry was posted on	October 19, 2013 at 1:46 pm	and is filed under Uncategorized.